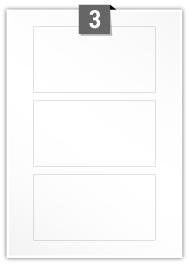 Our range of sweet jar labels are ideal for businesses who make and/or sell sweets. 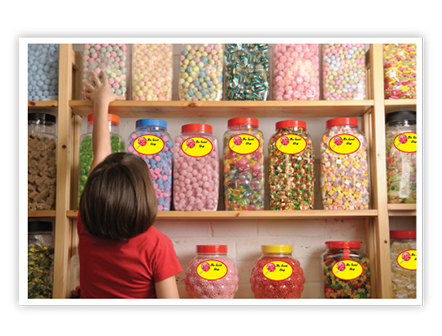 Shops looking to label jars or shelves with sweet names can easily personalise the labels to present a modern or traditional Victorian sweet shop, conjuring up childhood memories. 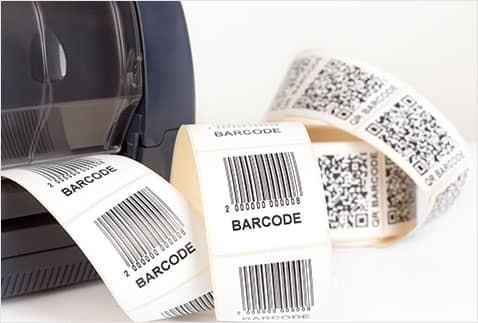 They can also be used to record sell by or use by dates and if you choose the peelable labels they can be easily changed at low cost if the contents of each jar change. 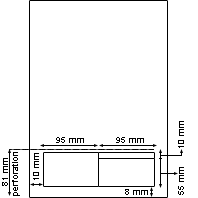 These blank labels can also be printed and used to seal paper or plastic sweet bags, or pick n mix bags. 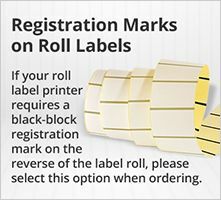 Need some sweet labels but don't want to print them yourself? 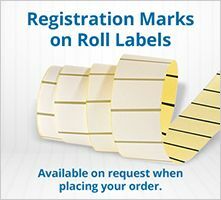 We can help to print and design it - visit our custom label printing page. 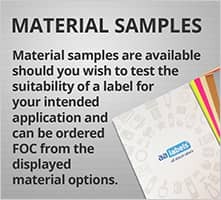 These functional and effective self-adhesive labels give you the perfect hand-made alternative to purchasing expensive wedding favours. 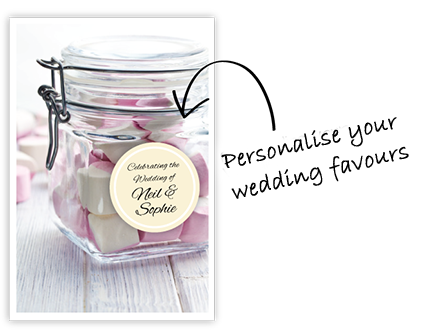 Simply buy empty plastic, metal or glass jars and fill them with retro sweets, lollies or candy, then add your bespoke sweet jar label, and a piece of ribbon to make a pretty favour for your wedding guests. 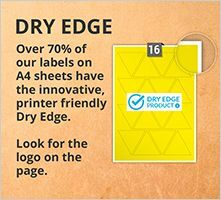 At AA Labels, we like to make things easy for you, and with your free downloadable and printable label template, you can print labels on your home inkjet or laser printer, meaning they can be completely personal to you. Add your own special message, the name of the bride and groom, guest names, or a wedding date, and personalise in your matching colour scheme. For the ultimate in luxury finish choose a glossy label. Perhaps you are organising a baby shower or a children's party, and want to label individual paper bags as party bags with which to fill with sweets! For this you may want a more rustic effect, which you can get with a textured finish (available in brown, cream, grey, sand, terracotta and white). Are you searching for a unique way to get your company noticed? 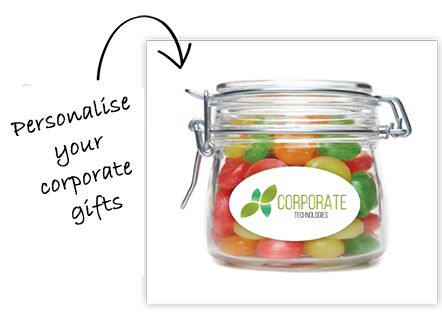 Filling jars with sweets can be great as giveaways for trade shows or exhibitions, where they can be easily labelled with a personalised company label. The same idea is sometimes used in putting together personalised sweet treats for your staff for their hard work or as a gift at Christmas. They can make great alternatives to trophies or plaques for business conferences, corporate days, or team building events and as jars can be re-used they are lasting. Have you thought about other ways you can use labels and sweet jars to promote a good cause? They can be used for charity collections and for fundraisers such as "guess the number of sweets in a jar to win a prize", or for simple stocking fillers at Christmas time. 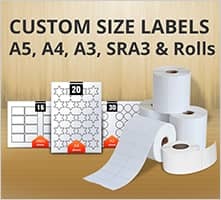 We have many label sizes to choose from, all available on A4 label sheets for ease of use.